all our breath, all our passion -- a mistake! and we changed our life. George Seferis was the pen name of Georgios Seferiadis (1900 -- 1971). He was one of the most important Greek poets of the 20th century, and a Nobel laureate. He was also a career diplomat in the Greek Foreign Service, culminating in his appointment as Ambassador to the UK, a post which he held from 1957 to 1962. Mikis Theodorakis , born July 29, 1925, is one of the most renowned Greek songwriters and composers. Internationally, he is probably best known for his songs and for his scores for the films Zorba the Greek), and Serpico. Politically, he identified with the left until the late 1980s and has consistently opposed oppressive regimes and was the key voice against the Greek Junta 1967-1974, which imprisoned him. I think that Giannis Ploutarxos deserves a mention too. "Koritsi mou" translates to "my girl" btw. When you make a post, like this video, please click the button VIDEO, above the text area and place the link between the [video] and [/video} so the video is embedded here and the people don't have to go to YouTube to watch it! I just added the code to your link and embedded the video, as you can see and I hope that you don't mind me doing that! Also there are several other useful buttons. Place the mouse over them to see what they are for at the Tip line. As you noticed I do it very often to make my posts colourful. 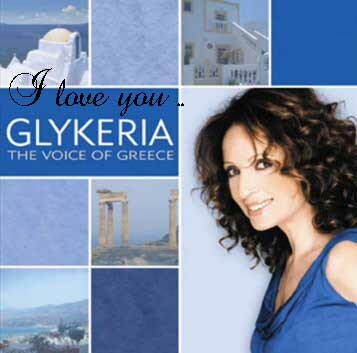 This is a new song from the extraordinary Greek songwriter, Evanthia Reboutsika, which enchant us with her music and makes a nostalgic trip around the Greek islands and smells of cinnamon and allspice. 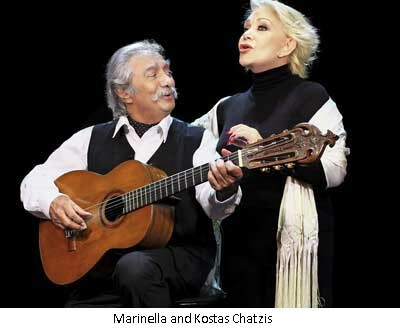 In cooperation with the great melancholic poet Michalis Ganas, from Epirus on the west of Greece, they created a different song, in the popular island style of dancing, that smells Greece. Good listening and enjoy the video! 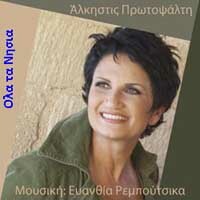 We enjoy many of the Greek Eurovision entries for their mix of traditional and modern themes. will not talk, will not talk to you. how much I love you, how I love you. And I shiver, I shiver. I am very thirsty, very thirsty. cry for a kiss, cry for a kiss. I dedicate the above song to all of us who found love in another country!